If you're one of the five people on Earth who still hasn't seen the new Wreck-It Ralph 2 trailer that dropped this morning, I'm here to break it down for you. 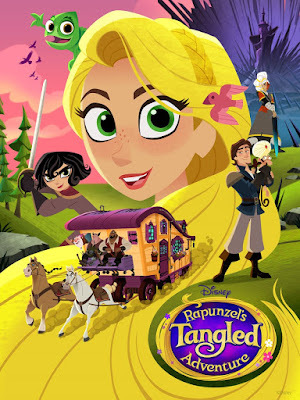 The trailer featured roughly the first half of a scene in which all of the living voice actresses for the Disney Princesses reprised their roles as Vanellope snuck into their secret internet headquarters that was presented at the D23 Expo last year. A screenshot released last week previewed the scene with Ariel missing, but now we see that she was just off-screen combing her hair with her favorite dinglehopper in a blinged out version of pink tea dress along with lots more animation of other the princesses in their oddly disproportionate new CGI style animation. Let's take a look. 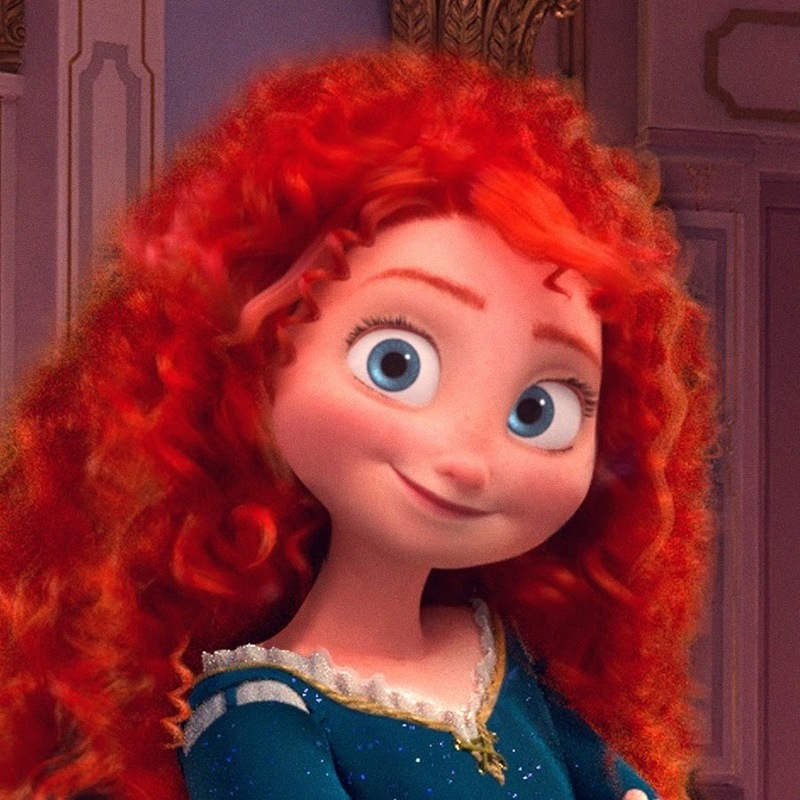 For starters, it's a bit odd how Ariel and Cinderella have swapped the levels of bling on their ballgowns. 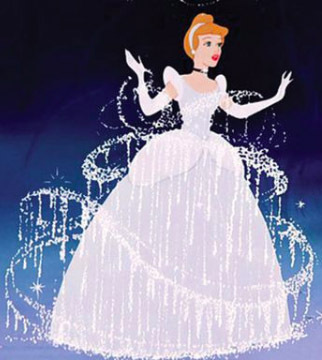 In the 1950 animated movie, Cinderella's dress appeared to have made from a lightweight silvery-white fabric emblazoned with pixie dust. The amount of sparkle was very impressive for the time period since there was no way to add particle effects or textures by computer. 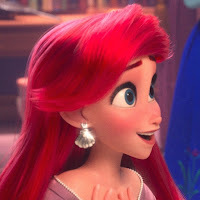 Conversely, Ariel only wore a sparkly dress at the very end of The Little Mermaid when she emerged from the water in the anachronistic blue dress that her father gave her during her final transformation sequence. 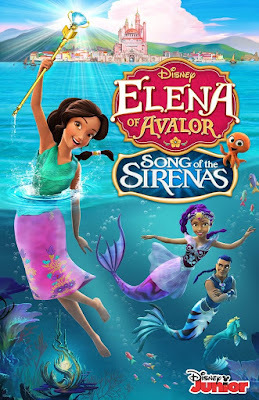 Maybe Disney thought that adding sparkles to her pink dress in this version would be reminiscent of the scales on her tail since she might not be as easily recognizable her in human form. 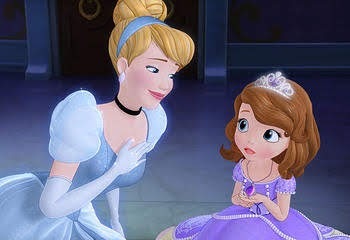 On the subject of recognizability, let's jump back to Cinderella for a moment. 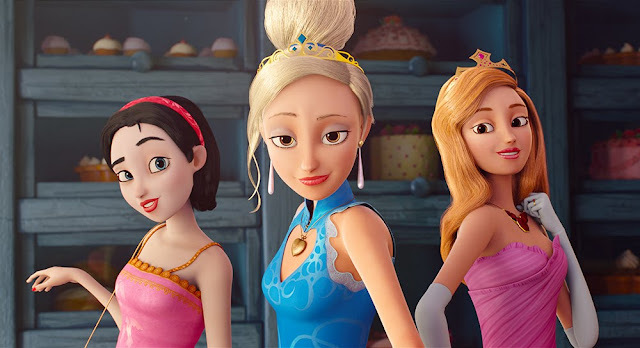 Pictured above, we have an image of three angry-looking princesses from the Wreck-It Ralph sequel juxtaposed with an image of three sassy princesses from the yet-to-be-released princess parody movie, Charming. 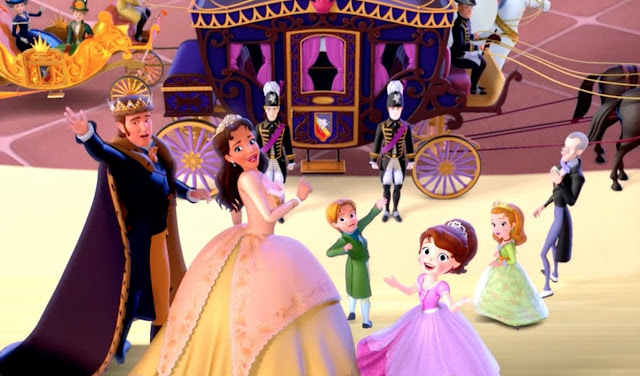 Both images have a "Charlie's Angels" feel to them and feature Cinderella up front and center because she is the quintessential princess. Their sassy riled up expressions are a sign of the decline of feminity in modern times. 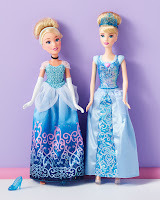 The two Cinderellas both have a solid blue dress with blonde hair swept up in a modern bun. 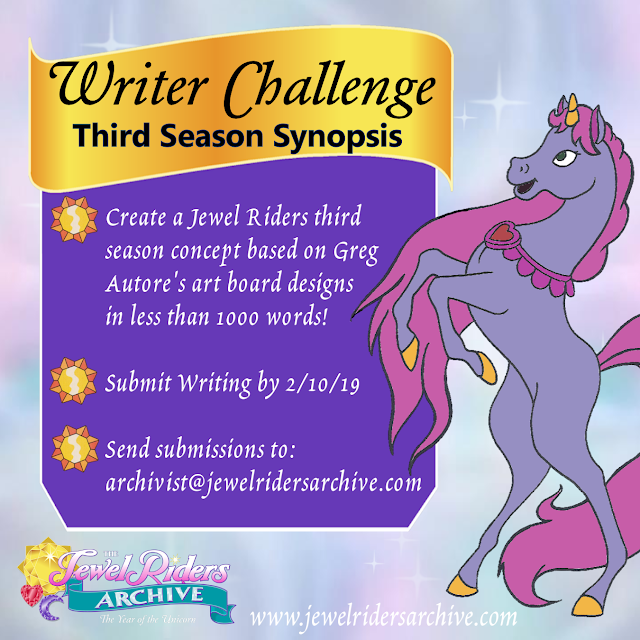 This is to make the character recognizable to a broader audience. Even though this is the image most people recognize as Cinderella today, it is not what she looked like in 1950. One of the biggest issues that Disney Princess fans have is how much Cinderella's image has been altered over years compared with the other princesses' modern redesigns. The picture on the left portrays what Cinderella looked like in 1950. She had light auburn hair in a '50s victory roll inspired updo and a white dress that was dripping with glitter. 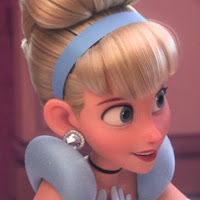 With the popularity of the Barbie franchise, Cinderella's hair became lighter and her dress became darker over time. Next, we have a CGI image of Cinderella from the show Sofia the First. 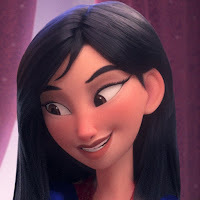 In this version, her coloring looks closer to what it is today, but her hair is at least a shade closer to auburn than in the Wreck-It Ralph 2 trailer, and her dress does have a bit more of a silvery tint to it. 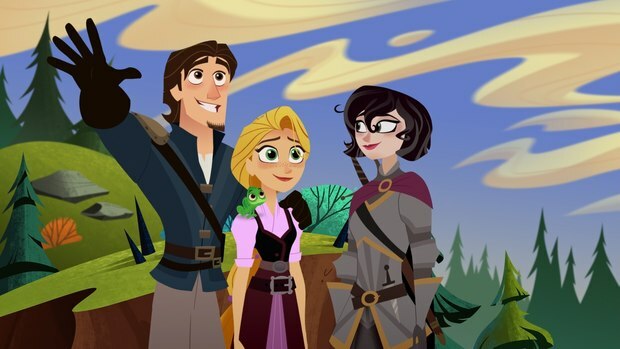 This is the closest thing we have to happy medium between the original look and modern-day look of the character. 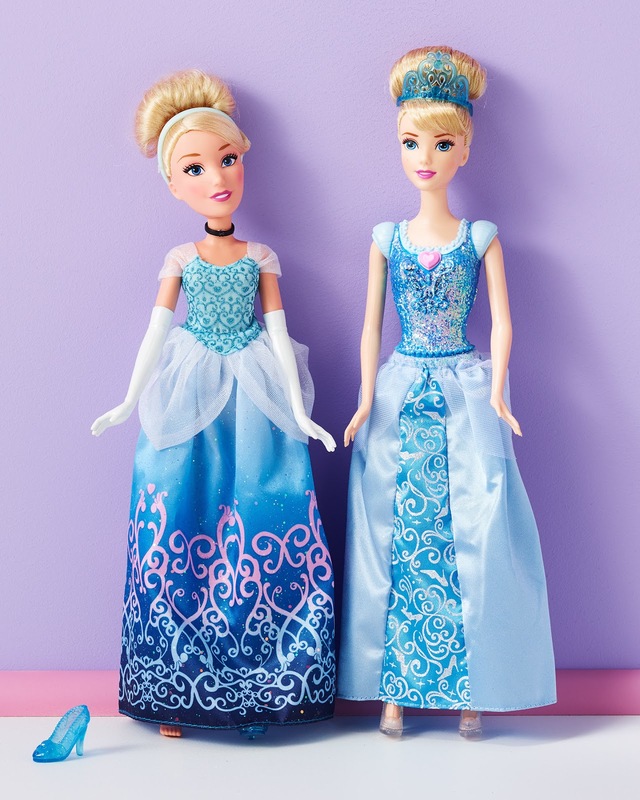 Finally, the image on the right compares how the new Disney Princess Hasbro dolls to the now discontinued Mattel dolls. 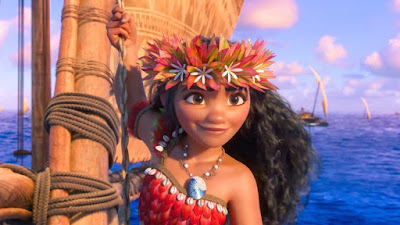 The modern versions are shorter and have larger heads that are disproportionate to their smaller bodies. These Hasbro doll proportions seem to have inspired the look of the Wreck-It Ralph princesses, who also have larger heads and smaller bodies than they did in their movies. Personally, I think that the Sofia the First look is the best compromise for transferring the princesses to a computer format, as they look far more screen accurate than the bug-eyed look from the trailer. 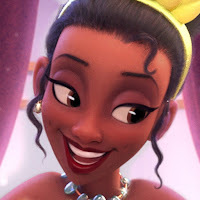 Alongside the release of the trailer, Disney also posted close-ups of the new designs for the princesses on all of their respective Facebook pages. 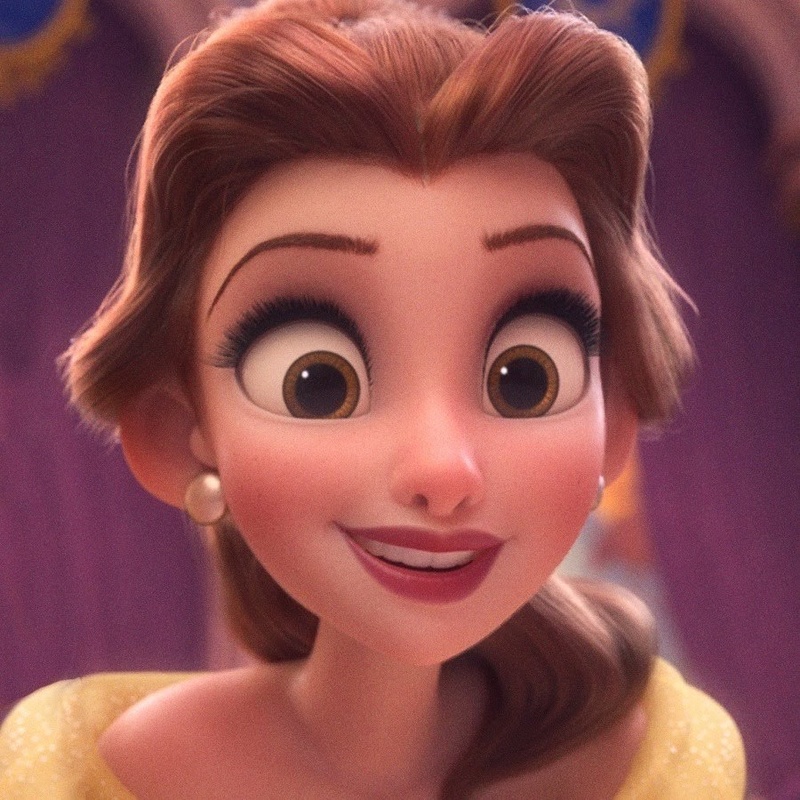 In these images, we can see their realistically rendered hair and long fake-looking eyelashes. Tiana and Mulan appear to be the only ones who aren't suffering from what I will hereby refer to as "Fake Eyelash Syndrome." 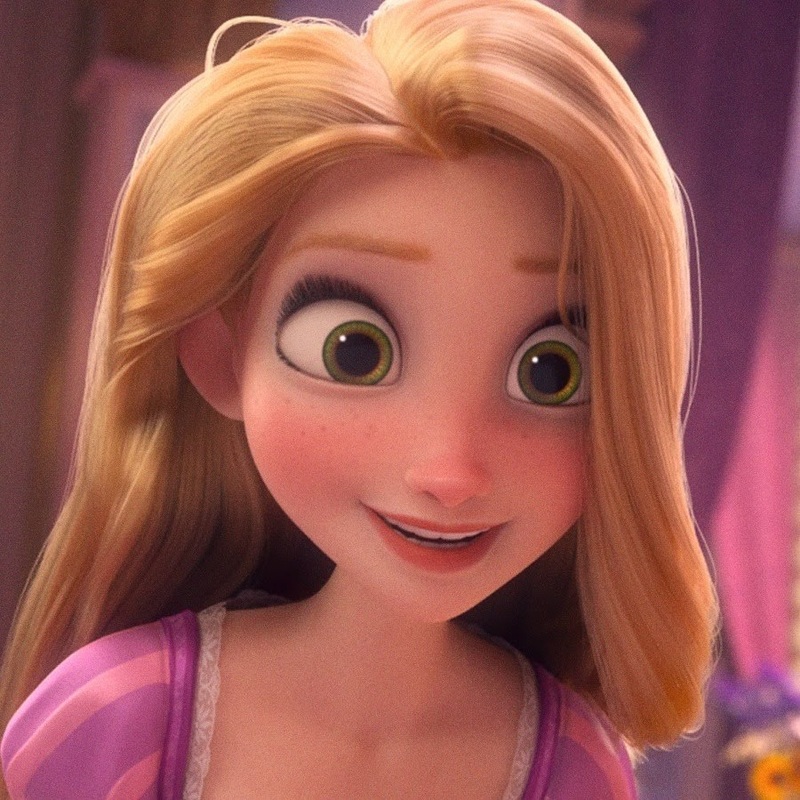 Rapunzel is wearing quite a bit more makeup than she was in her movie, which I don't think was entirely necessary. Merida's Pixar-like features have been exaggerated to accentuate the fact that she's from "the other studio," which is why no one can understand her when she speaks in this scene. 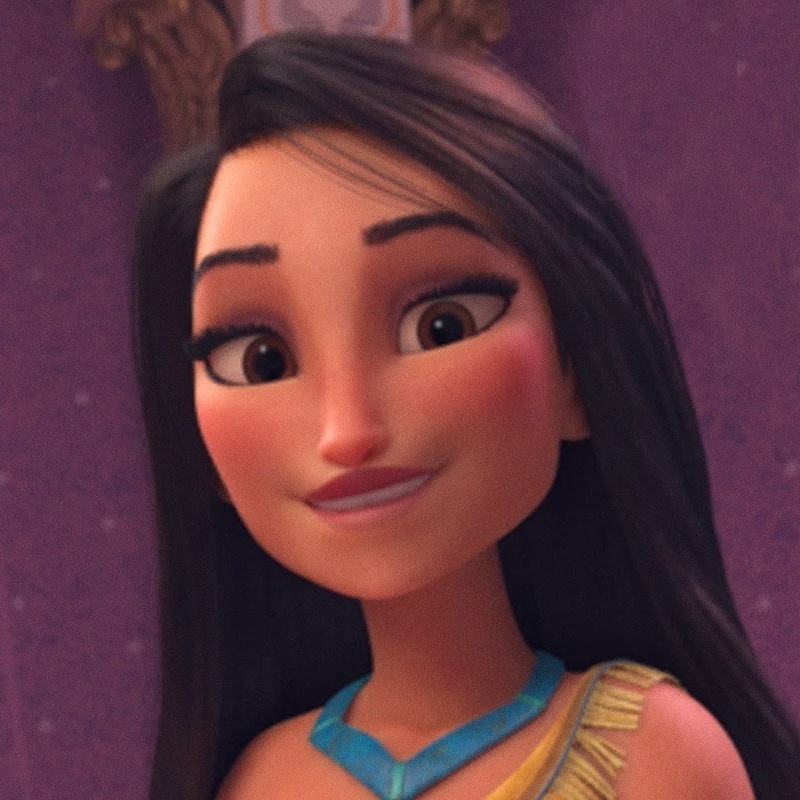 Of all the conversions from hand-drawn animation to CGI, I think Tiana and Mulan's faces came out looking the most screen accurate. 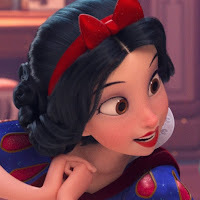 Snow White, Cinderella, and Aurora look way too goofy and exaggerated, but I suppose that was meant to go along with the humor of the scene. 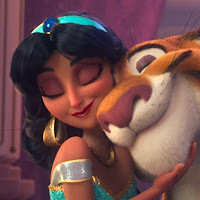 Jasmine's outfit has extra bling and a split overskirt to match her new look from the current Disney Princess supply of stock art. 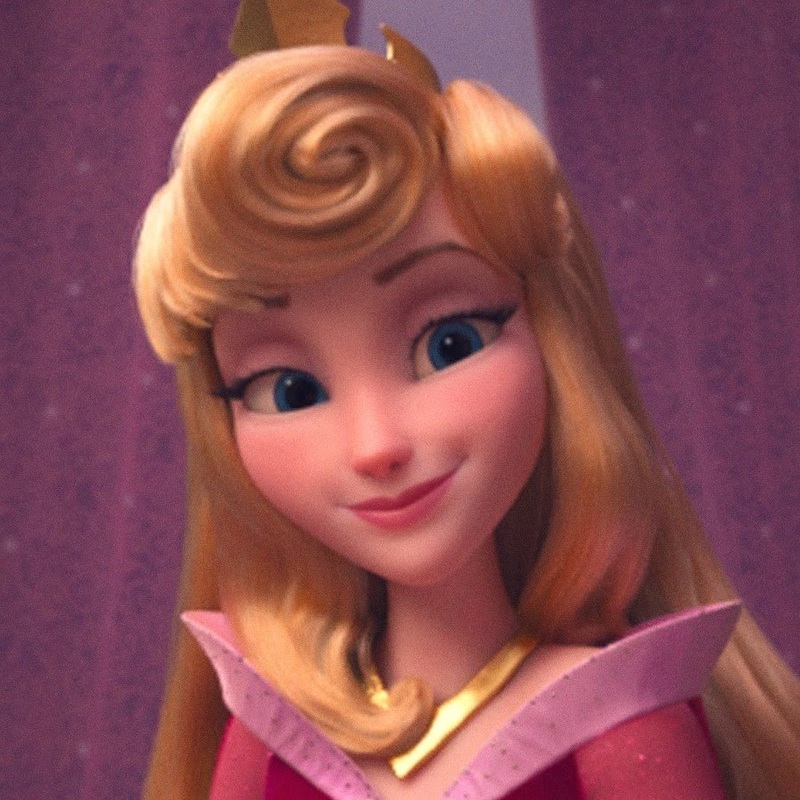 I'm glad the new theme park dress hasn't taken over since it looks nothing like what she wore in the movie. Overall, there are things I like and things I don't like about the new designs for the princesses. 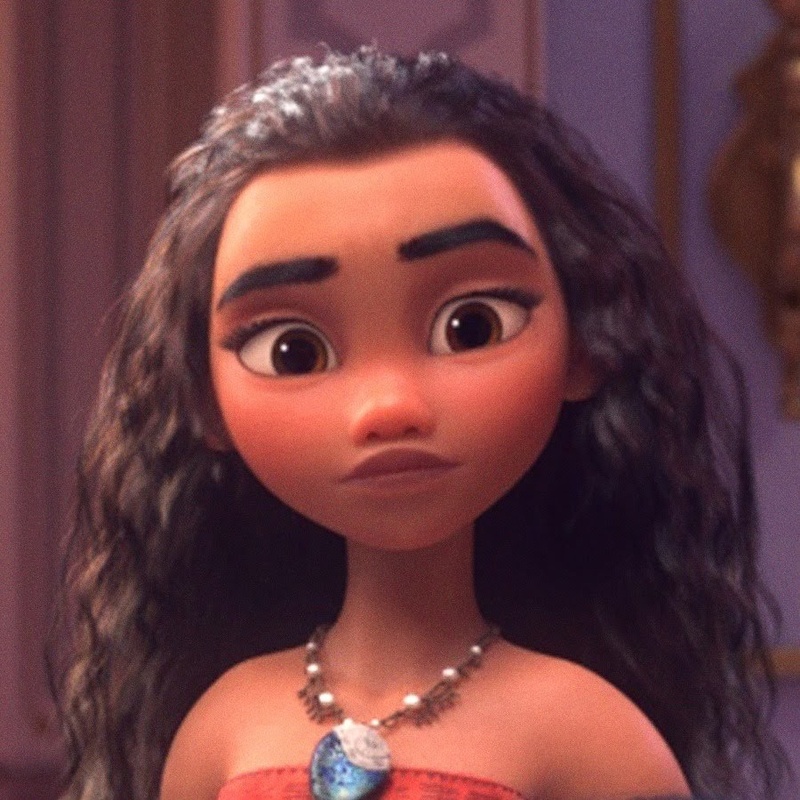 They all have fantastic hair, but many of their features got distorted to create a comedic uniform look that matches the tone of the scene. 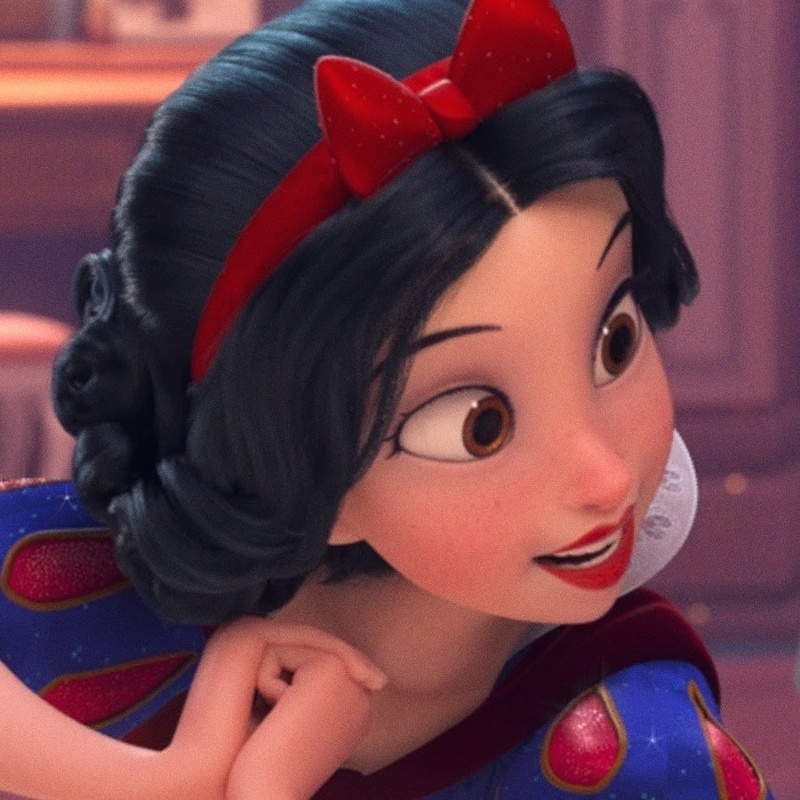 I think the older princesses suffered the most from this transformation because their looks have already evolved so much in Disney Princess stock art over the years that their CGI models aren't even based on their original designs anymore. 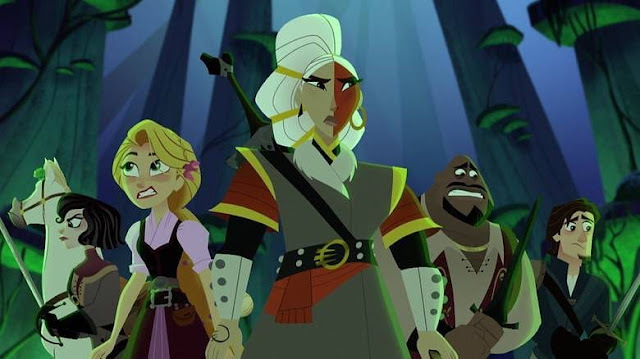 Of course, with all the original voice artists involved, they all least sound fantastic. 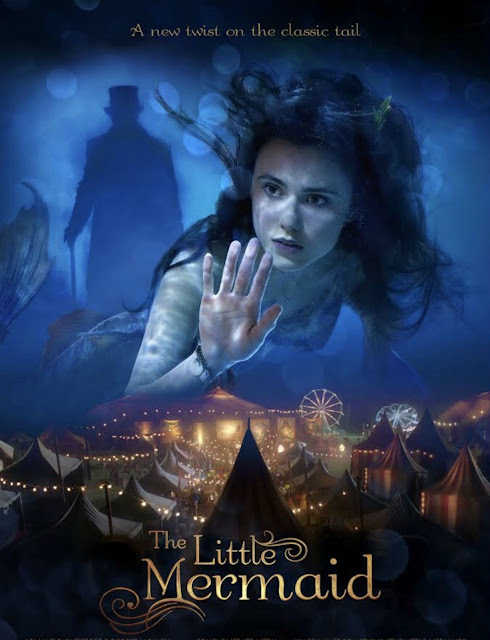 I'm looking forward to watching the rest of the scene play out in theaters in November.